The Balham Bowls Club is one of our favourite places to drink and be merry. The decor is cute and quaint; mismatched furniture, old relics and a delightful quiet pub garden, so where better to hold a vintage sale? 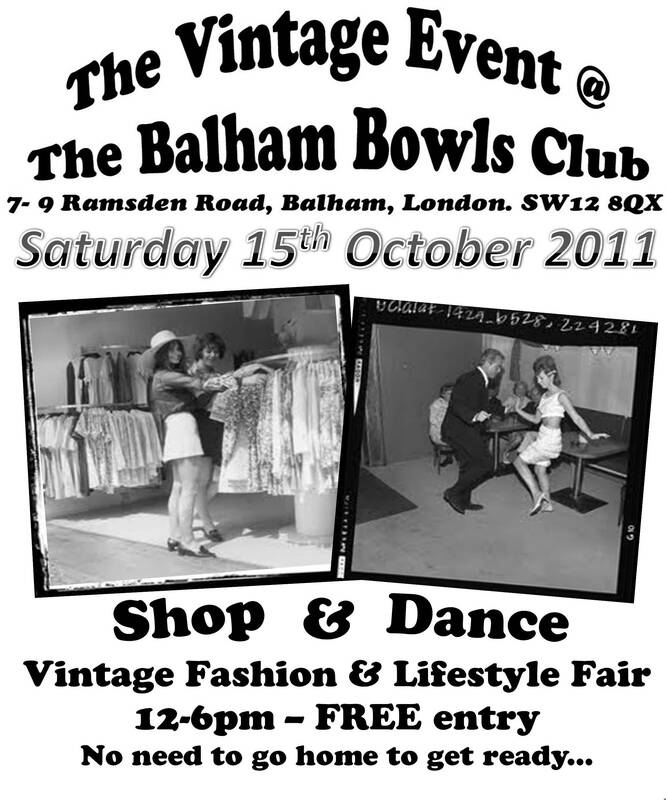 The Vintage Event brings the best of past classics to the BBC for our shopping pleasure on Saturday 15th October. From midday you’ll find a mixed selection of traders, a Mother’s Ruin Gin & Tea Room (with a slice of lime, please), plus a vintage beauty parlour for a bit of preening. What’s more, once the clock strikes 8pm the pub turns into a party showcasing classics from 40s-80s. Delightful. Enq. ‘Shop & Dance’ http://www.thevintageevent.com. Free entry 12-6pm, £5 for the evening dance.